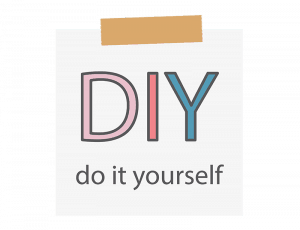 Today I am going to show you how to make a Mirror TV. would NOT want me telling you this. create your own hidden tv. First, let’s check out some amazing installations that we built for our clients. This is what you will get if you follow our guide all the way through. 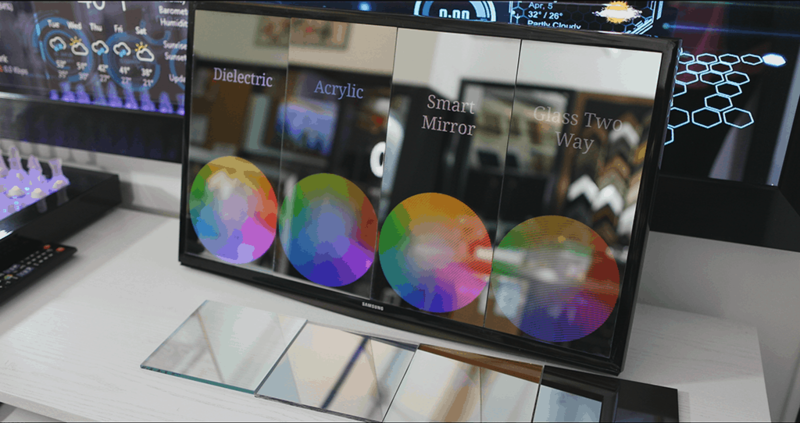 Take action and create your own futuristic mirrored television. Add leds wto add an extra special effect. 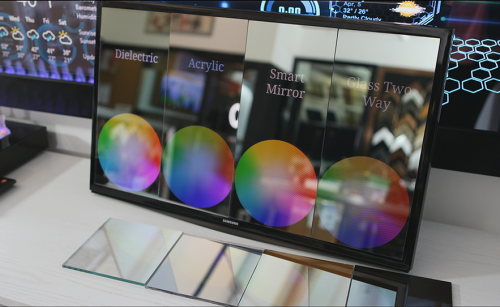 To create a mirror tv there are three simple components: a display, a frame, and a semi-transparent mirror. 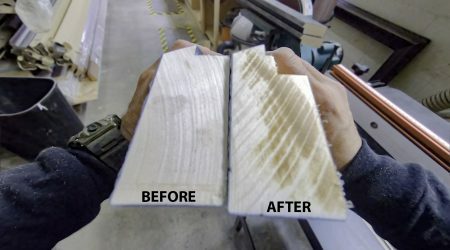 It is a perfect DIY project to learn woodworking and as a result you get a high tech home decor piece that looks truly amazing. 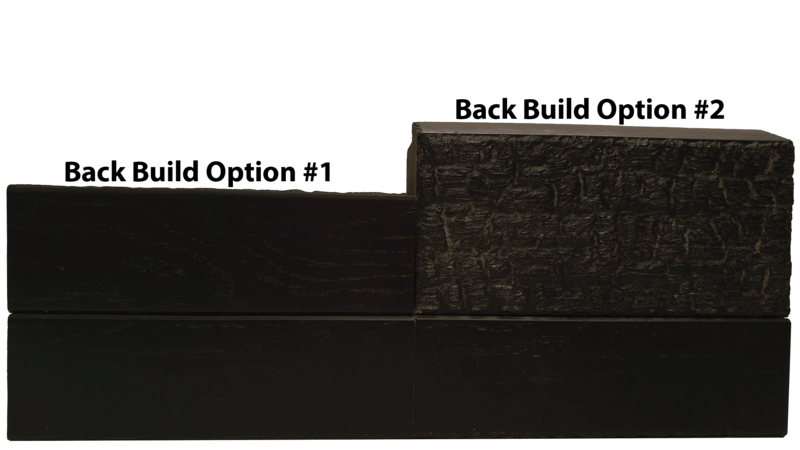 It is a centerpiece for your home that is also functional art. 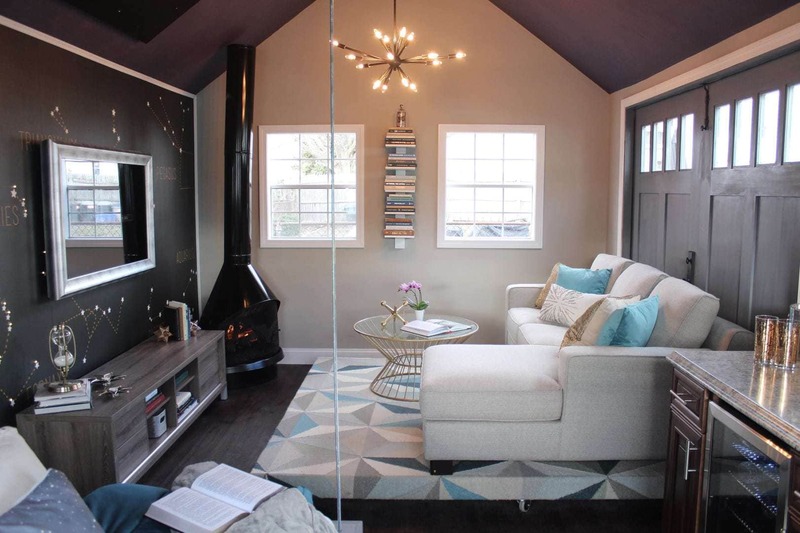 Get rid of that bulky TV black hole that is cluttering up your living room! Prepare for the ultimate Netflix and chill when you use it with Chromecast, Apple TV, Roku, or a Firestick! 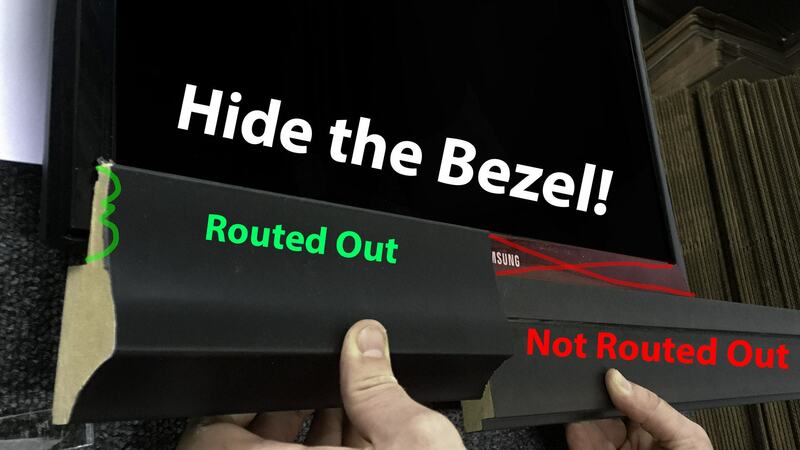 When you are checking out the latest and greatest TV models, the most important part is the thickness of the TV. When I make these for my clients, I am using Samsung. They are ultra bright and thin which makes the whole process easier! 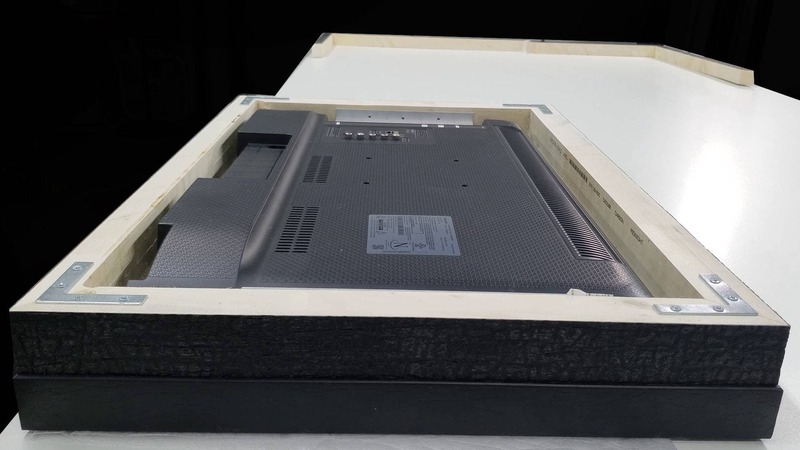 If you invest to go with a TV model that is thinner than 2″, we have a special frame for sale that has exactly that much space with no need for a special back build. It comes in black and white. 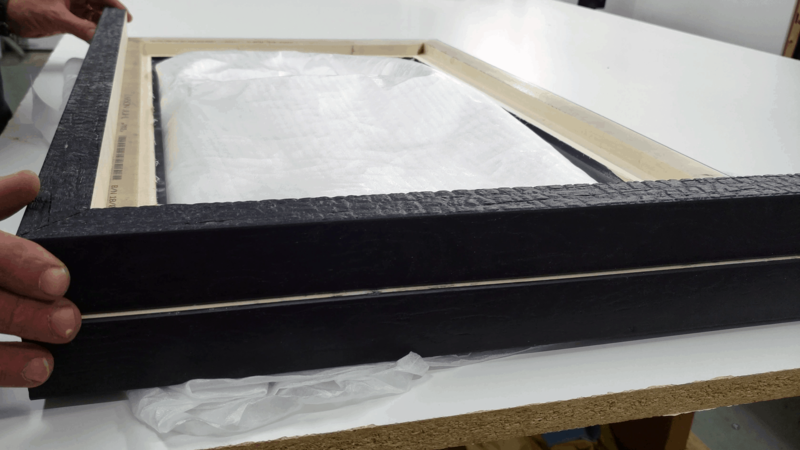 You could order the frame material from us raw, or order it to the size you need: framed and ready to go. Either way, if you do this, that means you can skip: Step #2: Frame Back Build in the tutorial and go directly to Step #3. The beauty of this tutorial though is that you can use any frame moulding you want, provided it is 2.5″ in width. The creative possibilities are endless! You can go thinner with the frame width if the bezel of the TV is ultra thin or non-existent. More on that later! You cannot use just any standard mirror! For this project you need a Dielectric Mirror. This semi-transparent mirror gives you this vanishing effect. When the TV is ON, you can see the screen through the mirror. When the TV is OFF, it hides completely within the mirror so you cannot tell there is a TV on the wall. I used the Dielectric Mirror for this project because it will give me the best display quality. 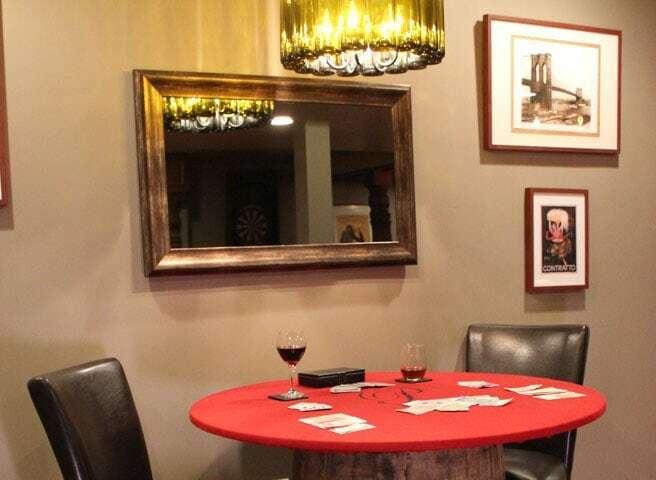 You can use our other mirrors, like the Glass Smart Mirror, Acrylic Two Way Mirror, or Glass Two Way Mirror, but the transparencies are lower so the display quality will not come through as much. Avoid the two way mirror film at all costs. Burn the film, just burn it. Your project deserves the best display quality. The two way mirror film we sell is 5% transparent, so you are losing almost ALL of that light through the mirror. Over time the mirror film may peel or bubble. Especially in a bathroom environment. 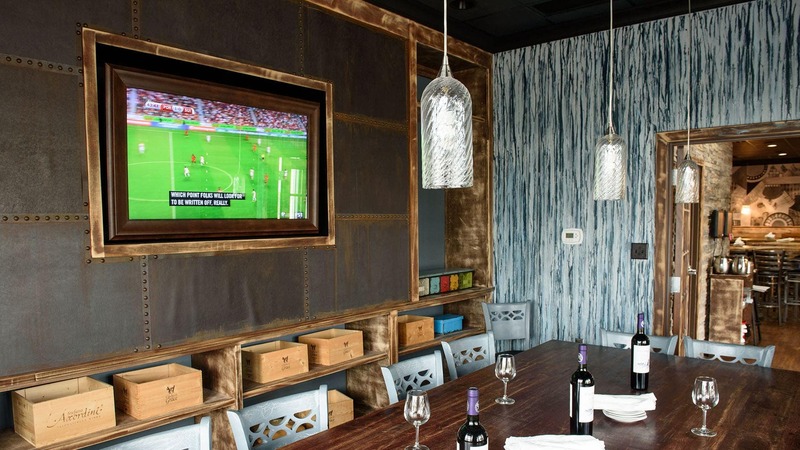 A custom led mirror tv is an investment and a long term decor item in the house that is functional art on top of that. It is so worth it to splurge on getting the higher quality glass for that amazing finish in the end. Most importantly, if you go against all of this advice and get the film anyway, you still need to apply it to clear glass. Do not apply it to the screen directly and definitely do not apply it to acrylic. To follow this guide, you will want to get the overall size of the TV. Order the mirror to be the same size. 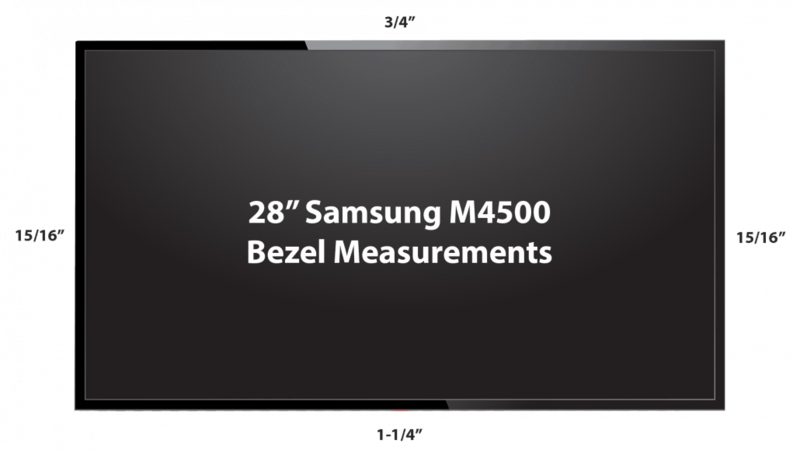 For example, on the 40″ Samsung UN40NU7100 series, the TV Size is 36″ x 20.9″ x 2.3″, so you would order the Dielectric Mirror to be 36″ x 20.9″ in 1/8″ thickness in this case. To follow along in this tutorial, you will want to use a Frame Moulding that is 2.5″ in width or larger, and has enough height that you can add the additional rabbet to create space to hide the bezel of the TV. 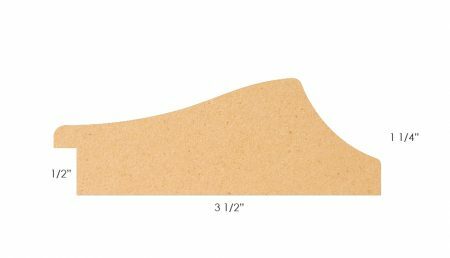 Here is an example of a frame moulding profile that works with this tutorial and what it looks like after it has been routed out. The first step is to cut the frame moulding you have and route it out so that the bezel of the TV will be covered by the frame and there is still a place for the glass. 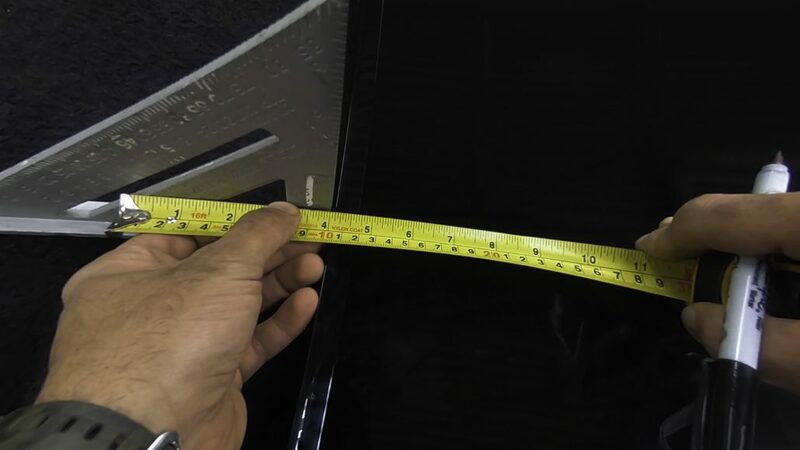 To do this, you need the tv bezel measurements for all four sides of the TV, as well as the overall size your Framed Mirror TV will be when it is complete. Do not worry! I have plenty of pictures, GIFs and explainer sections to get you started. 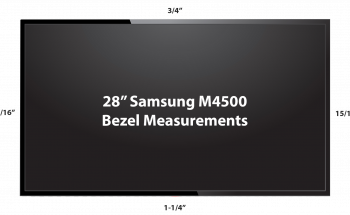 Measure the bezel of the TV. It is helpful to create a diagram like the one below to make sure you have them all before cutting the frame material and routing it out. Routing out the frame will allow you to use the Dielectric Mirror. For larger mirror installations where the frame does not cover the bezel of the TV (or if you prefer to skip this step), you will want to switch to the Glass Smart Mirror to hide the bezel completely behind the mirror. Measure and cut the frame sticks approximately four inches larger than the overall size of the Framed Mirror TV. 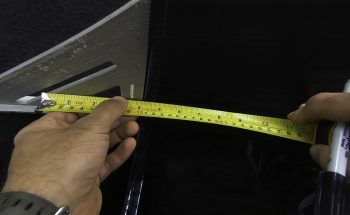 To find the overall size of the Framed Mirror TV before it has been built, you can use the Display Wars tool, or simply measure the screen without the bezel. 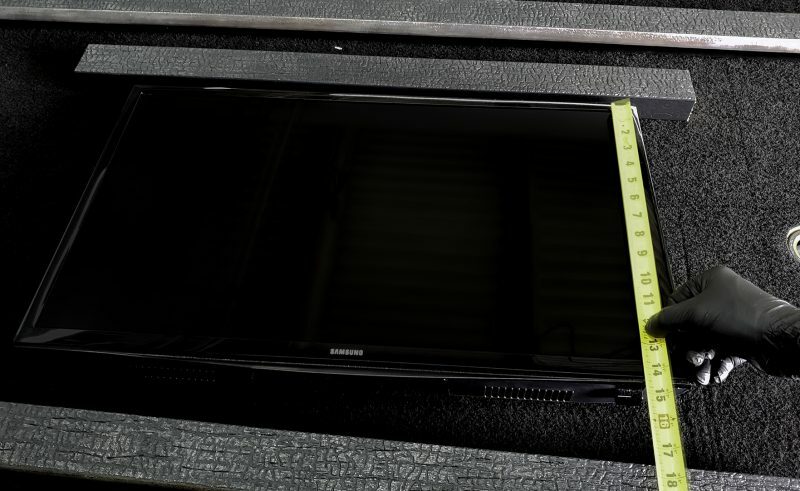 Take the actual Screen Size (27.5″ measured diagonally for this TV model) and plug it in. That gives me 23.97″ x 13.48″. Then add the frame width (times 2) to both dimensions. 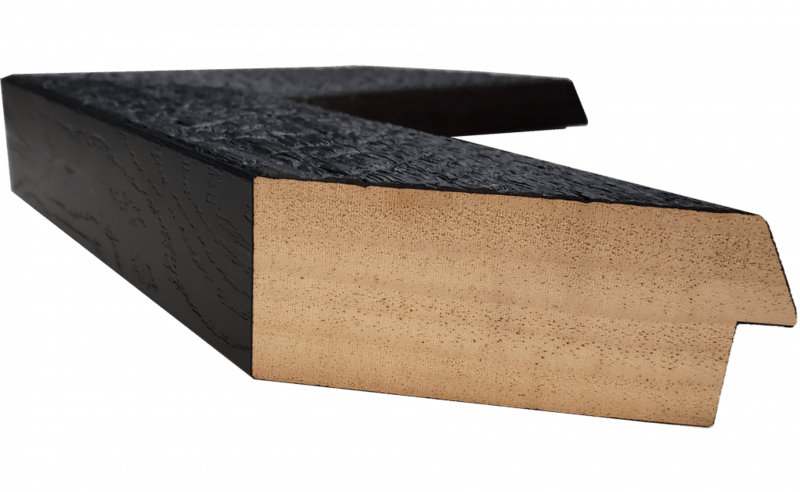 The Yakisugi frame is 2.5″ in width, so the overall size with the frame should be 28.97″W x 18.48″H. 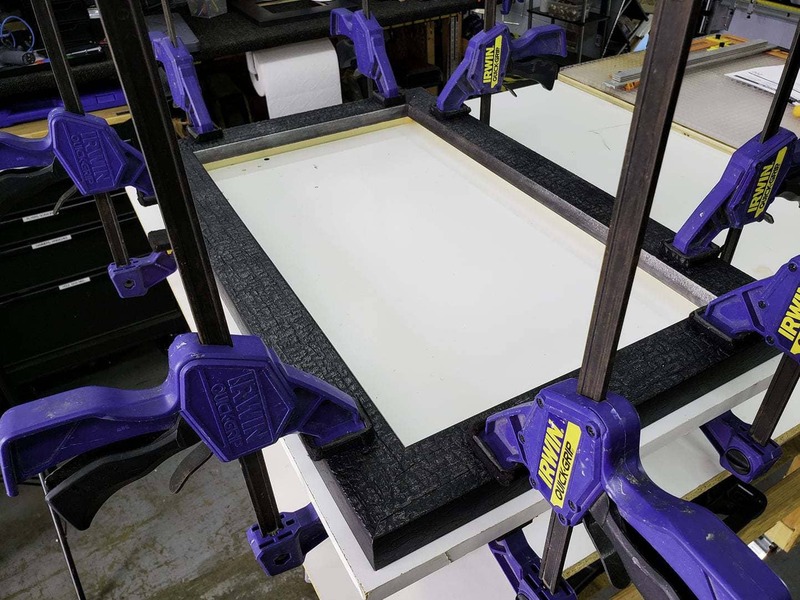 In my example, I cut the frame sticks to be 32.97″ (qty 4), and 22.48″ (qty 4). Mini Pro Tip: Cut double the frame material, you will need the other four pieces for the back build. After the frame sticks are cut, grab two of the long sticks and two of the short sticks, this is the front of your Framed Mirror TV. You will want to cut the inside of your frame on the table saw to fit over the bezel of the TV. That is where the TV bezel measurements come in handy. 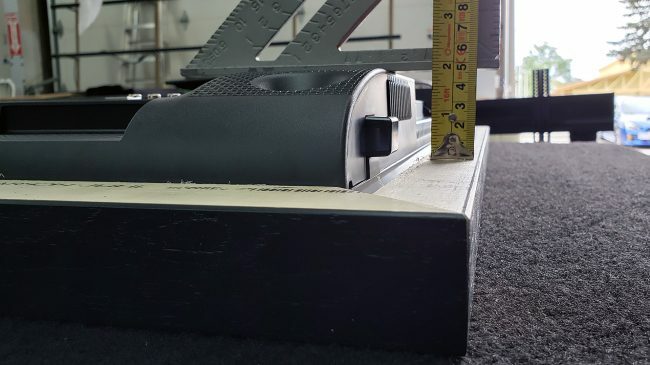 I recommend utilizing Step 1.1 to get all four sides measured. Some TV models do not have the same bezel thickness on every side. Do not forget to factor in a little space for the glass to sit in front. 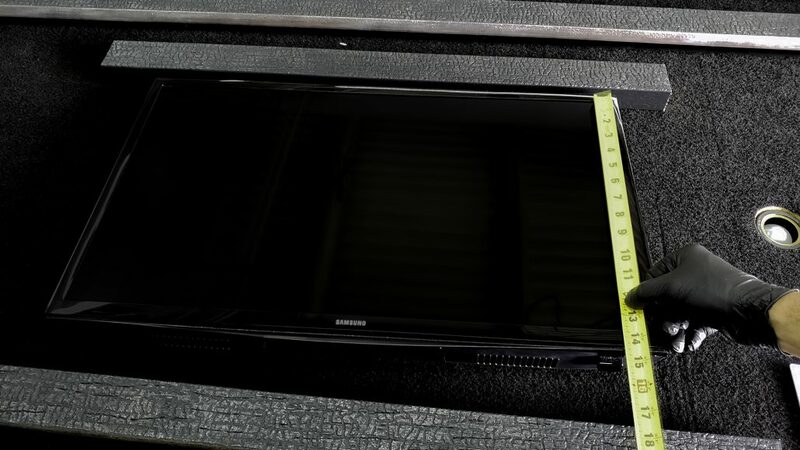 You want to hide the bezel of the TV so you can use the most transparent mirror on the market which will give you the absolute best display quality through the mirror. Cut your 45 degree angles to prepare for putting the frame together. Pro Tip: Get a fine tooth saw blade like this one (100 tooth, 12″) for the bst result on the 45 degree cuts. Start off by gluing one long stick and one short stick together. Use the long clamps to hold the two frame sticks together while it is glue is drying. Once you have both corners made, put them together and hold with the longer clamps. Once the front of the frame is finished, it is time to create the back build. This will allow you to hide the TV completely from the side. 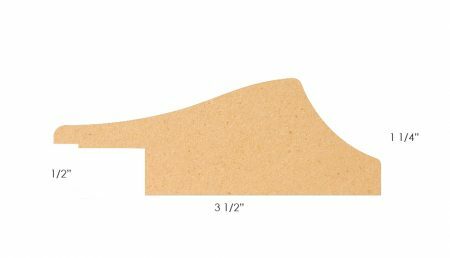 If you used a flat frame profile, you could sit this on a desk, or you can use a standard TV wall mount to put it on the wall. The amazing part is that the TV is completely hidden from the side after this step! Take a look. 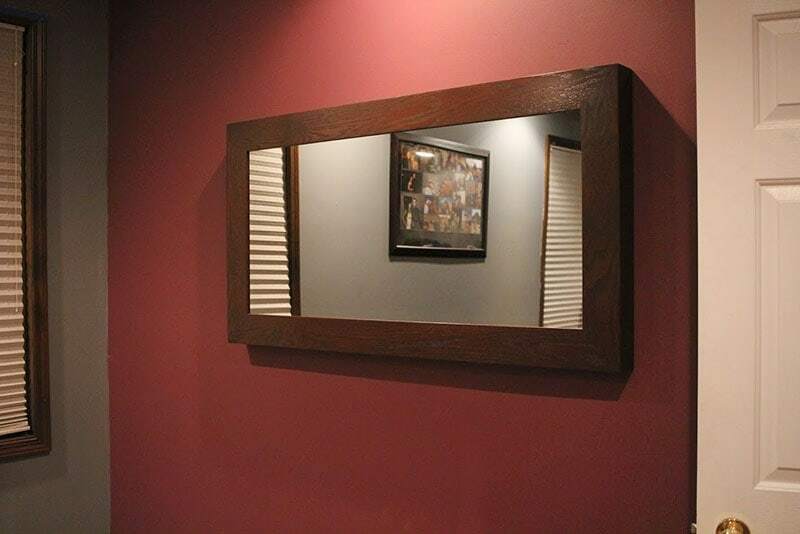 To create a back build for your Mirror TV, you will want to place your TV inside the frame. See how thick the TV is – how much of it is sticking out? This will give you a basis of how thick you need your back build to be to cover the side of the TV. For my build, you can see it sticks out approximately 1-7/8″ out of the back, so I made my back build 2″ thick. From here I have two options for how to style the back build. I chose to face the front of the frame on the side for this tutorial so you can see the burnt wood style along the side of the frame. You could also stack the frame so they are back to back. This would mean that the burnt wood is facing the back and the sides match with more of a wood finish and less texture on the side. If I did it that way, the frame height is 1.5″ so I would just need to trim 1″ off that way. 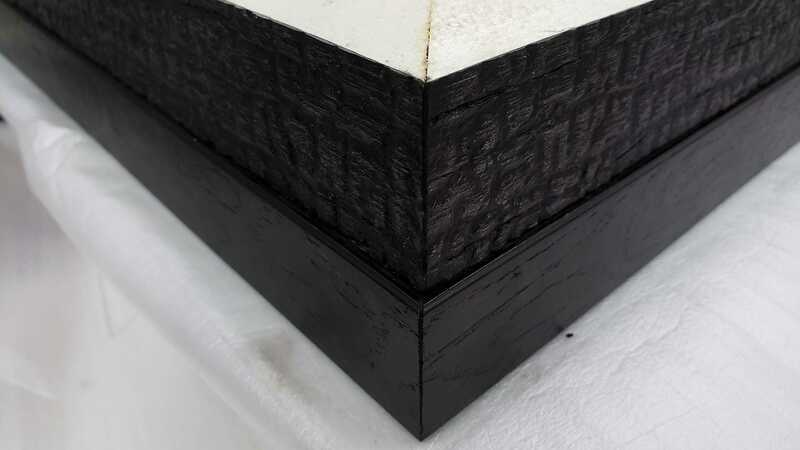 Since the frame moulding is 2.5″ in width, I trimmed off 0.5″ from the rabbet side and kept the flat side so in the end I had the 2″ thick back build I wanted with the “front” of the frame now sideways to have the charcoal type look along the side of the frame. Use the same measurements from Step #1 frame sticks and cut 4 more pieces of the same length (you may have already done this in step 1). Then cut them to the back build thickness you are wanting & begin gluing them to the back of the frame. Glue the Back Build pieces. 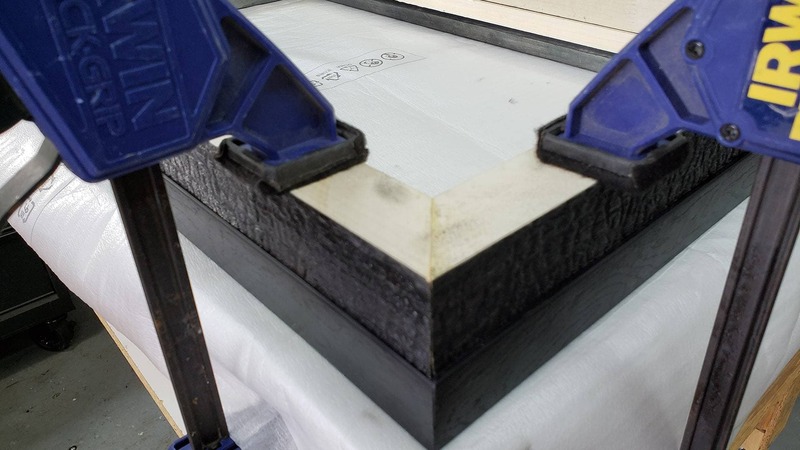 Use the clamps to hold the frame in place for a solid bond. Place the TV back into the frame. To hold the TV in place, I used Z-BAR Hangers. This is nice because you do not have to cut into the TV so the standard warranty is still in tact. I recommend ordering the Z-Bars such that they are almost the entire length of the TV on all four sides for the best fit. You can also use smaller ones in a higher quantity along each side if needed. 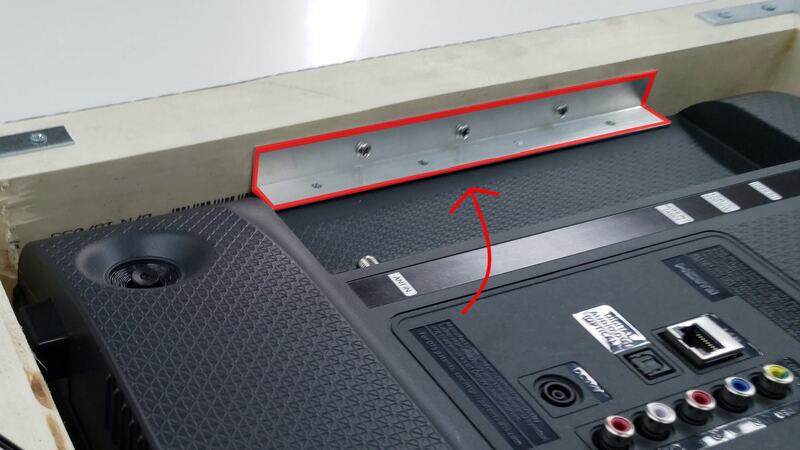 In this tutorial I actually used corner braces instead of Z-bars because the TV was on the thicker side. It varies from build to build. 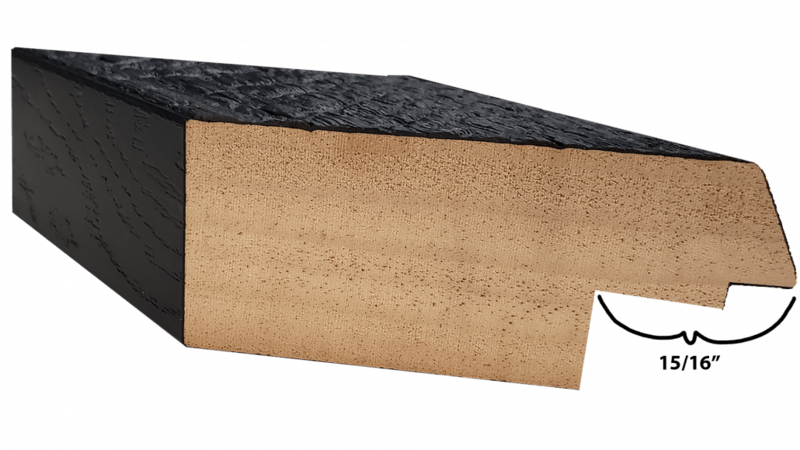 You can add additional corner support to strengthen the integrity of your build. If you add all of the recommended items below in this list, it will never fall apart on you! 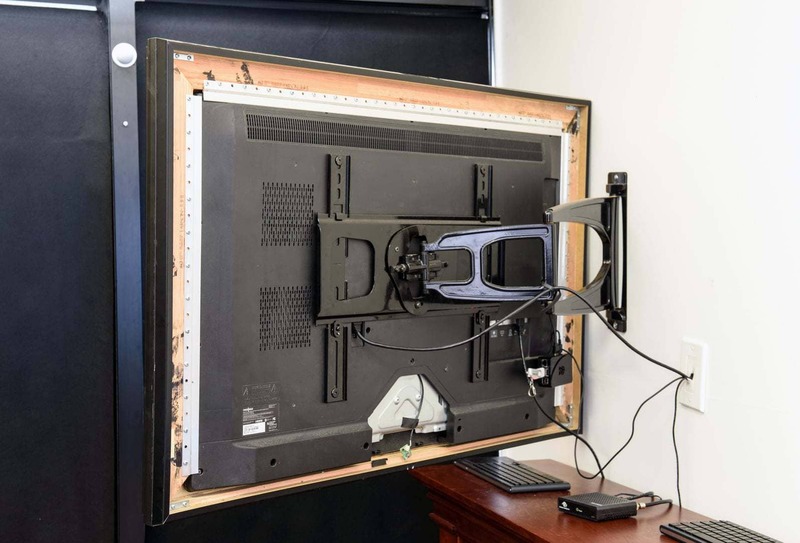 Connect the IR system to the TV and place the eye below the frame once it has been mounted. This allows the remote to work with the TV, even though the sensor has been covered by the frame. 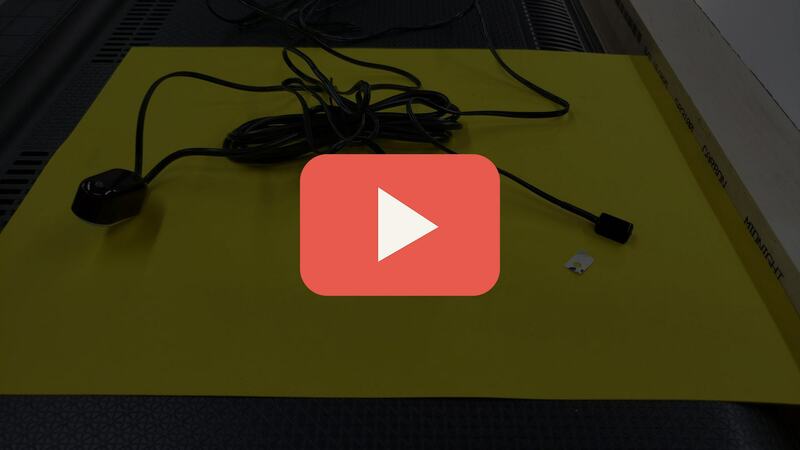 Power up your TV by plugging it in to see how it looks! You may need to make some minor adjustments with the Z-BAR hangers to make sure the TV is centered behind the mirror. After you turn on the TV to check your work, you may as well go in and maximize your settings. Turn off “Eco Mode” and make sure the TV Brightness and Backlight is turned up all the way for the best result. You can mount your TV with a standard TV wall mount. This could be an ultra flat mount, tilting, articulating, whatever strikes your fancy! For the most seamless look, I recommend getting a thin wall mount so it does not stick out from the wall too much. This is an articulating wall mount – we use this in our showroom so clients can see how it looks from the back. 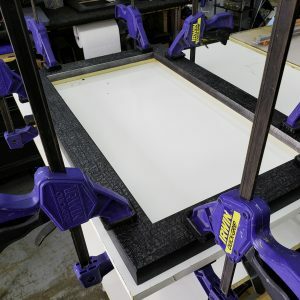 My ultimate DIY Mirror TV Framing Guide for 2019. 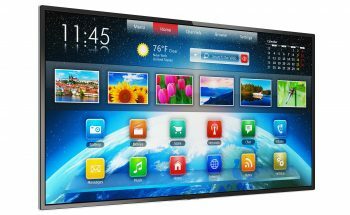 Which TV did you end up purchasing and why? Are you going to create a custom back build with the frame, or recess the TV? 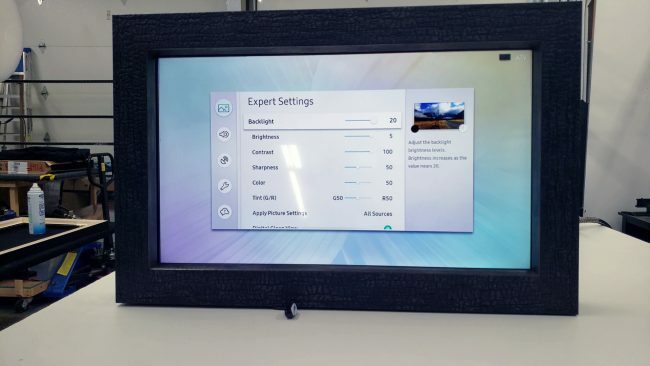 Or maybe you want to try a more advanced build, making the mirror larger than the TV itself. Our living room is all windows; lots of light all the time, even when it’s cloudy and gray. Are there certain mirrors or coatings that would deal with the glare better? We’re concerned if we do something like this, we may end up not being able to see very well because of glare. Which mirror is better to use? Shouldn’t use standard 2 way mirror. Then which is better. Please help me to decide for smart mirror. I’m planning on making my own mirror tv. What are the LED strip lights for? Can I purchase the coated mirror from you all? Is glare an issue when watching tv? Since the mirror would still be reflective. Thanks..
How much does it cost to make ? Is it possible to make the mirror bigger (taller) than the tv? I’d like a tall mirror, not a wide one which is the shape of tvs these days. Thanks for all this helpful info!